Last July 9, 2012, the Catholic Bishops’ Conference of the Philippines (CBCP) issued a Pastoral Letter on the Era of New Evangelization. Entitled ​“Live Christ, Share Christ,” ​it declared a 9-year novena of the Philippine Church leading to March 16, 2021, the fifth centenary of the coming of the Catholic faith in the country. The CBCP highlighted nine (9) pastoral priorities that would be celebrated each year in order to prepare the faithful for a grand commemoration of our 500th year. This 2018, we look into the life of the clergy and consecrated persons, taking into consideration the laity’s role in collaborating to fulfil Christ’s mandate to “go and make disciples...” (Mt. 28:19). In response to the call to the New Evangelization, ​Live Christ, Share Christ (LCSC)came to be. 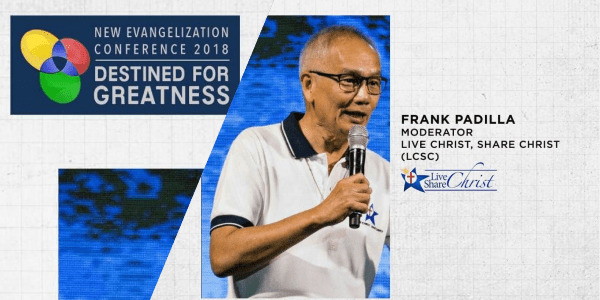 LCSC intends to mainstream Catholic lay evangelization. Aside from the vast work LCSC has been doing in the grassroots, a gathering of all Catholics is organized each year to celebrate the faith. 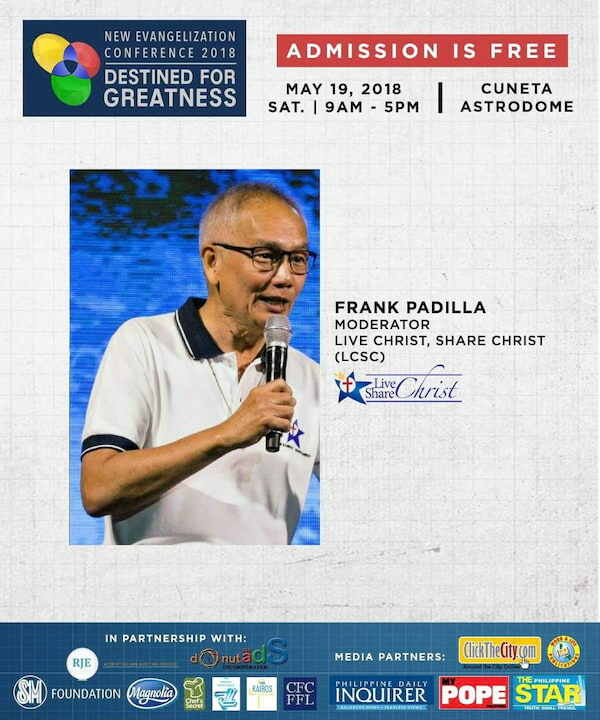 On its 5th year, the ​New Evangelization Conference 2018 (NEC 2018) ​will take place on May 19, 2018, in Cuneta Astrodome, Pasay City from 8AM to 5PM. As it has been since LCSC began this endeavor, this is a free-admission event. This year, NEC 2018 is expecting at least 7,000 people to be part of this momentous event. With the theme ​DESTINED FOR GREATNESS,​ inspired by this Year of the Clergy and Consecrated Persons, NEC 2018 aims to awaken the faithful to a renewed relationship with God and to ignite in each person the fire to evangelize. By being reminded of our identity and the meaning of our existence, each of us is led to look beyond the superficiality of the world towards a future full of hope and of joy; each of us, destined for greatness. This year’s NEC will include a song writing competition and a chorale competition. Servant-leadership awards will also be given away to recognize the exemplary witness of life of our brethren who serve in the Church. Invited speakers include Rev. Fr. Shenan Boquet, President of Human Life International, and Mr. Frank Padilla, moderator of LCSC. The anticipated Holy Mass for Pentecost Sunday will be celebrated by Most Rev. Francisco De Leon, D.D of the Diocese of Antipolo. For updates and other details, check out this link: https://www.facebook.com/NewEvangelizationConference.